The May 7, 2015 issue of the Troy Times-Tribune is on newsstands and on its way to subscribers. 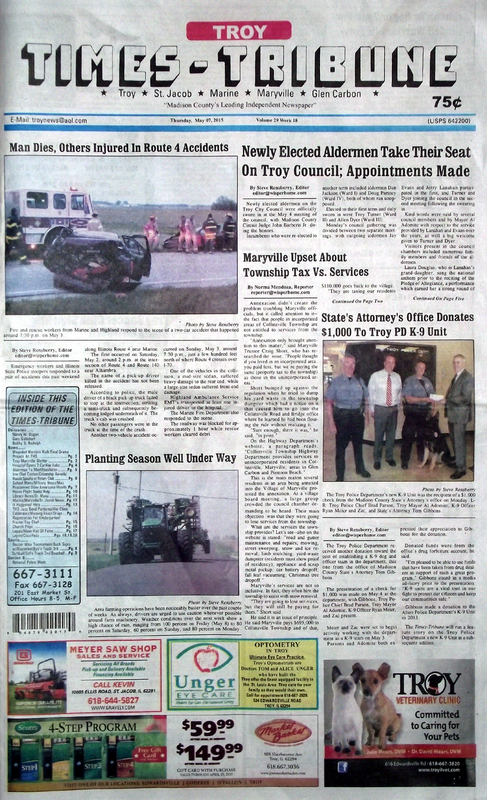 Some of the stories in this issue: Newly Elected Aldermen Take Their Seat on Troy Council, Maryville Officials Upset About Township Tax vs Services, Planting Season Well Under Way, State's Attorney's Office Donated $1,000 to K-9 Unit, Man Dies in Route 4 Accident, Ron Stephens To Begin Walk for Wounded Warriors in Troy, Lady Knights Win Rockwood Summit Tournament, Softball Squad Splits Four Games in Latest Action; plus we have police blotters, a full page photo spread on the THS Jazz Band and other happenings around town, our usual “It Happened Here” history page, and an editor's column about police departments that are worth their weight in gold. This week's edition has a bonus section for National Police Week, with photos of local officers, plus a whole lot more! 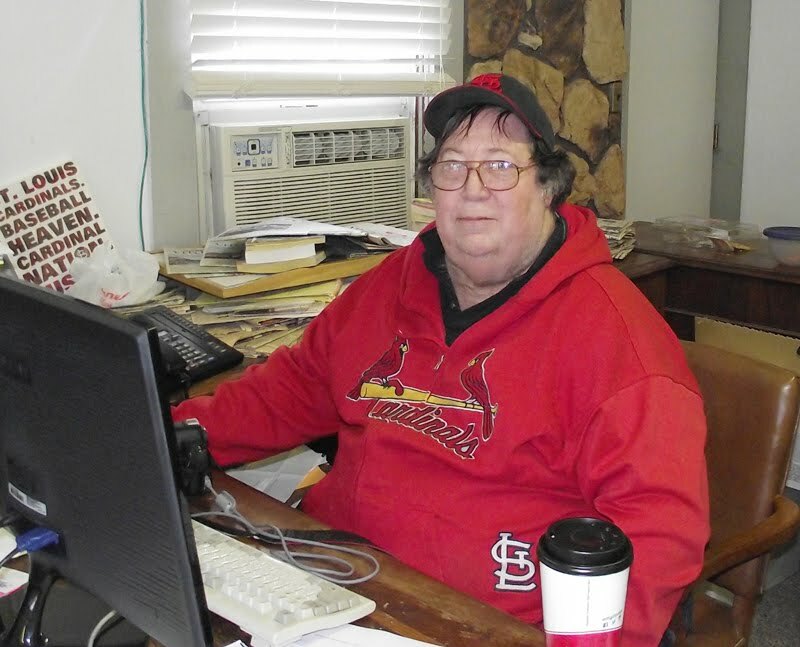 We have obituaries for Gary Gabehart, Nancy M. Dugan, and Bobby S. Randolph.